A couple of weeks ago, I hosted my first-ever A-List Diet online summit. And this event couldn’t have come at a better time. While we all strive to look our best for the summer, the truth of the matter is…summer is filled with parties, cook-outs, vacations, and cocktails. Which makes September the PERFECT time to achieve your weight loss goals — before the mad rush of the holidays. So I devoted a lot of time during the summit to outlining EXACTLY how to do that with the A-List Diet. I shared details, tips, and step-by-step instructions on how to get started — and how to maximize results. This exclusive event was truly life-changing for the hundreds of viewers who attended. But we’ve received a lot of emails from people who weren’t able to attend the summit, which is why I wanted to send you this important note. I put together my entire plan — everything you need to get the most out of The A-List Diet — into one comprehensive package. • My A-List Amino Booster Mix. This specially-formulated drink mix helps jumpstart your dieting journey and is an integral part of the daily A-List plan. • My DetoxLogic formula. This is an essential part of Phase One of The A-List Diet. Phase One is also known as the Reset Phase, and it’s designed to rid your digestive system of the toxins that are stored there. This helps restore balance to your digestive tract, also known as your microbiome. It is becoming increasingly clear that the health of our microbiome is a major player in weight loss. That’s why Phase One (and DetoxLogic) is so critical to help you hit the “reset” button, work toward a healthier microbiome, prime your body for weight loss, and maximize your results over the long term. 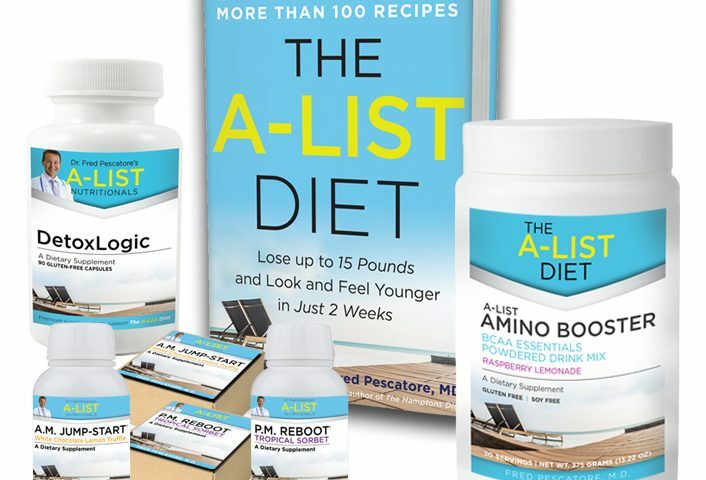 As you can see, this package takes ALL the guesswork out of getting started with your ultimate transformation on the A-List Diet. You have everything you need — right at your fingertips, ready to go. And…A-List Diet Summit attendees got a huge discount on it. We’re talking over $125 in total savings. So if you’ve been on the fence about starting the A-List Diet, now is the time! Please take a minute and check out all the details by clicking here. Speaking of getting started on the A-List Diet…the biggest hurdle for many people is giving up bread. I can’t tell you how many times I’ve heard patients tell me they can’t imagine not eating sandwiches for lunch. Well guess what? You don’t have to! Here’s a quick and easy way to get your bread “fix” — without the carbs. 3. In a separate bowl, beat the egg whites with the cream of tartar until they peak. 4. Carefully fold the egg whites into the egg yolk mixture. 5. Bake until the cloud bread is golden brown, about 30 minutes. Serve warm. Everyone has tried a diet before — and everyone has failed. Men, women, young, and old — losing weight presents a frustrating challenge for us all. But one reason the A-List separates itself from the pack is that I embrace the fact that there is no one-size-fits-all. 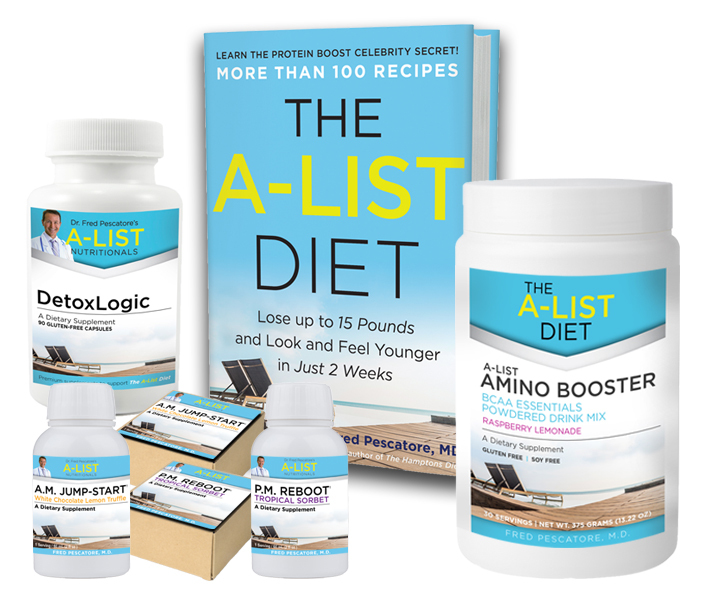 And inside the pages of The A-List Diet, I’ll give you specific, step-by-step, personalized advice that will finally help you shed those pounds once and for all. So no matter how many other diets you’ve tried before, I can say with the utmost confidence that this is the LAST one you’ll ever need. So what are you waiting for? The only thing left to do is get started.